Red Vines Rewards Program Yumm! If you haven’t tried Red Vines check out my review. They are far better than Twizzlers and NOW offering a rewards program. It can’t get better than that! 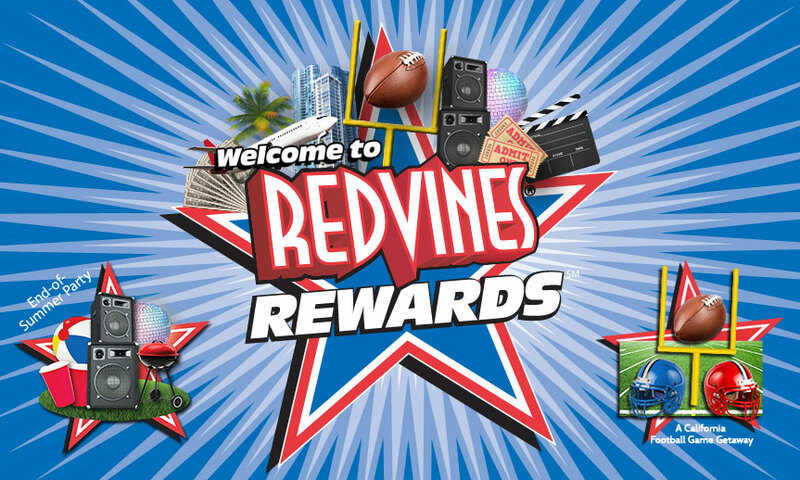 In celebration of summer fun, the Red Vines® brand has kicked off a loyalty program with the launch of Red Vines? Rewards, running from July 13 to November 30, 2013. The Red Vines® brand will release specially-marked packaging for its Original Red® jars, trays and laydown bags with codes inside that can be entered for the chance to win rewards—including weekly, mid-promotion and grand prizes. Consumers will find a 16-digit code inside specially-marked packages that they can use to earn points towards weekly rewards. Prizes change monthly so it’s worth coming back again and again. Bonus points can be earned for sharing the program with friends and getting additional people to sign up. Weekly prizes that include Red Vines® candy for a year, various gift cards, movie tickets, iPod shuffle® and more! The Grand Prize winner will be announced December 9, 2013. For more information on Red Vines? Rewards and to find retailers that carry Red Vines® candy, visit www.redvines.com.